Before you and your friends head downtown, to the beach, a bar or movie – book a group escape at America’s Escape Game and see if you and your friends can work together to escape one of our challenging and incredibly fun escape rooms! 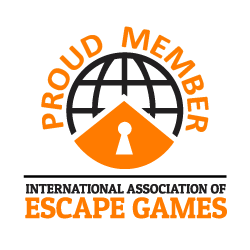 We have been rated the #1 Escape Attraction in Florida and are conveniently located right in the Sawgrass Mills Mall area. You will have 60 minutes working together to crack the riddles, solve the puzzles, and escape! It’s a fun way to start or finish your night out and we are open late Friday & Saturday! Looking for a private event? Let us know!